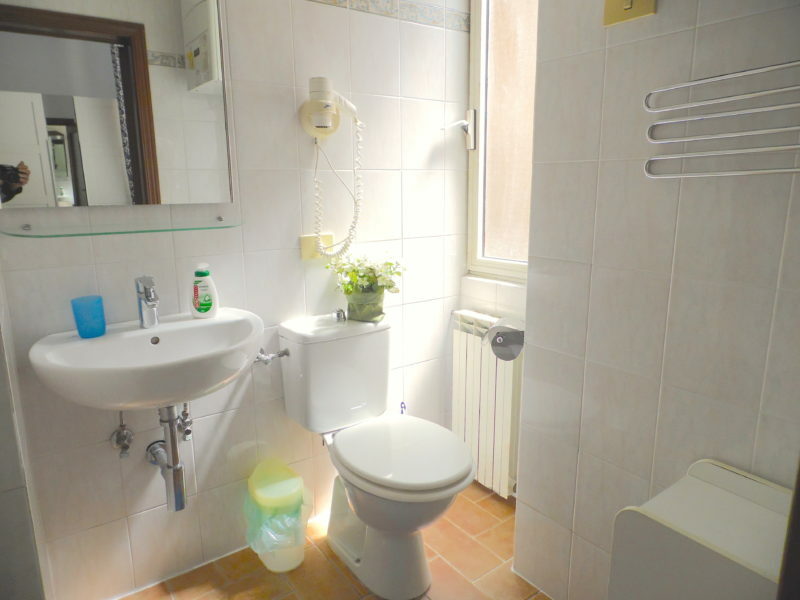 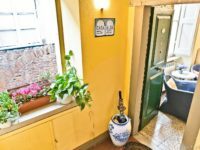 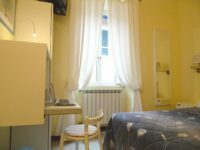 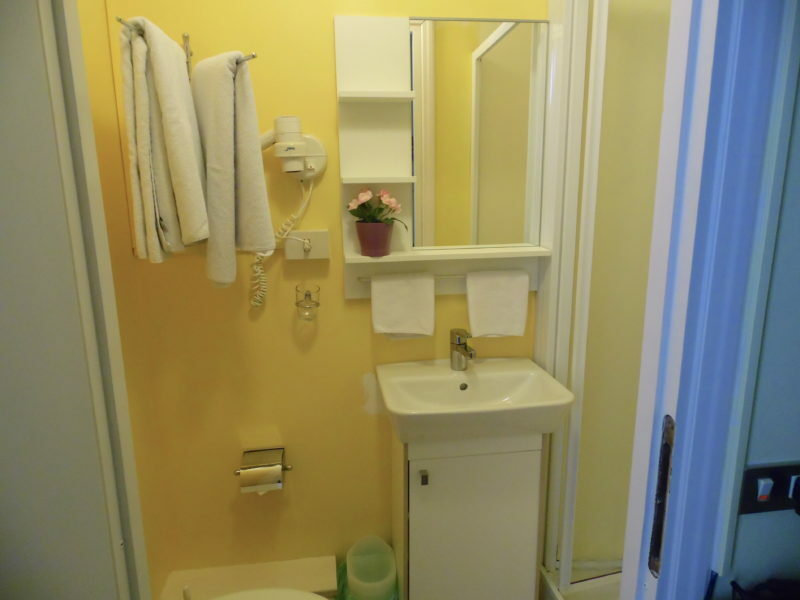 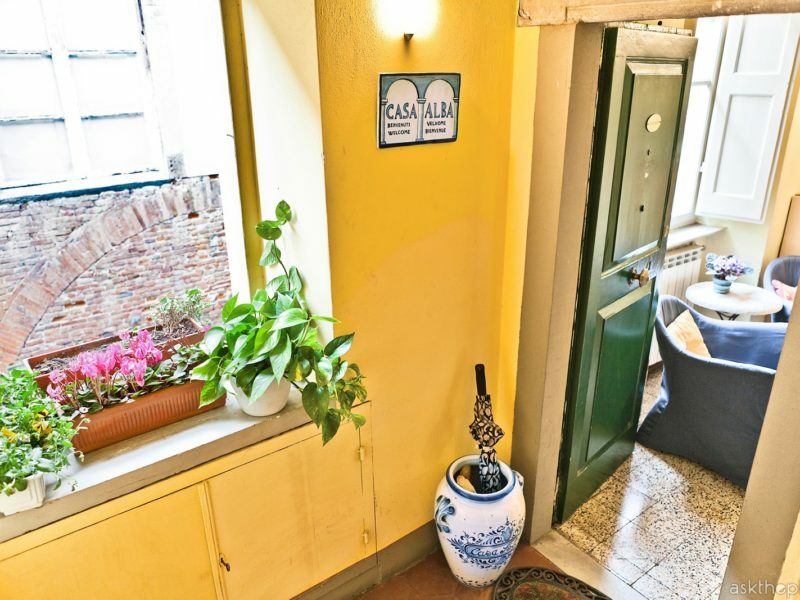 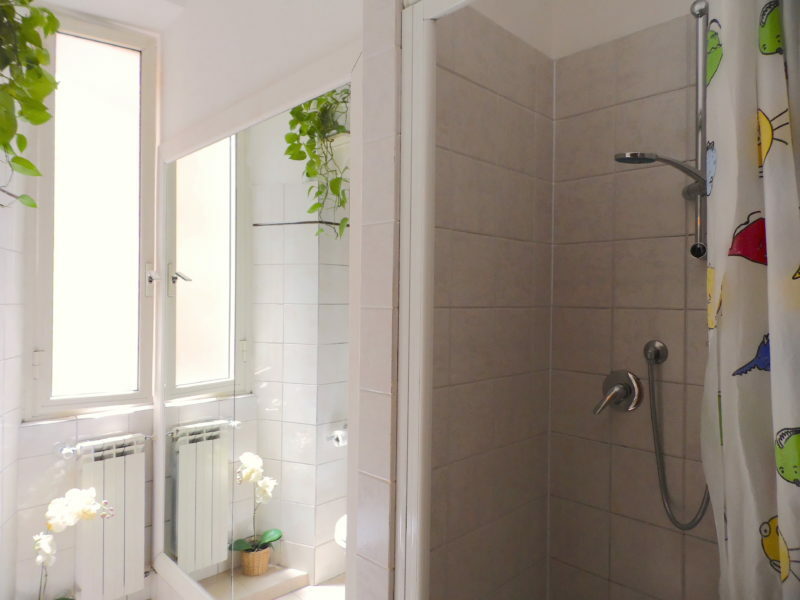 Apartment set on the 2nd floor of a medieval building in Via Fillungo, right in the hart of the historic center of Lucca. 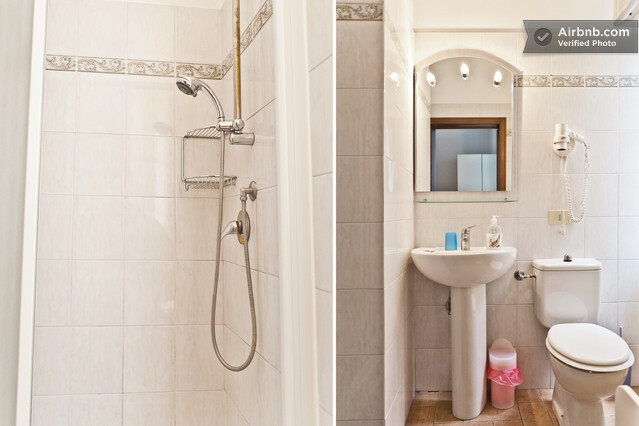 Featuring 4 double bedrooms and 4 ensuite bathrooms this 100sqm property offers up to 8 sleeping places. 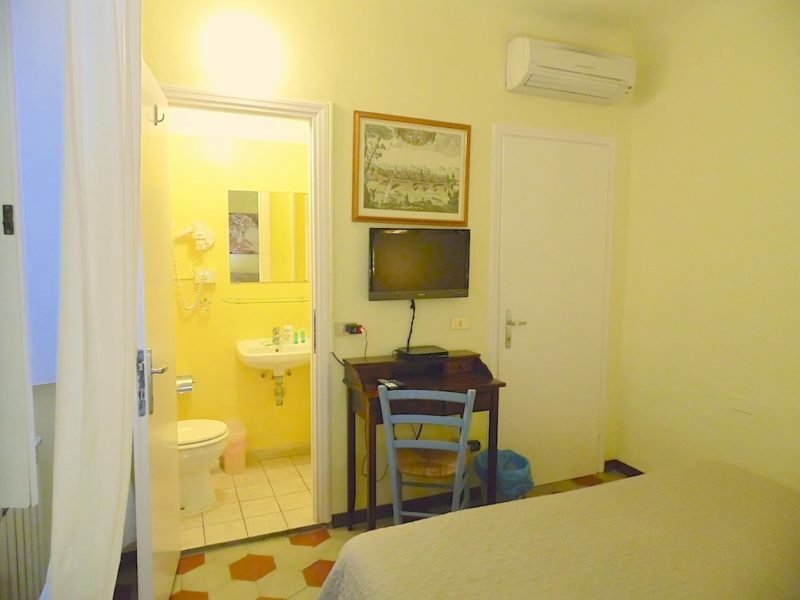 All rooms are provided with air-conditioning, Sat TV and fast and strong wifi. 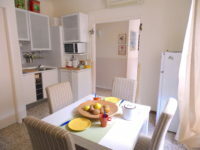 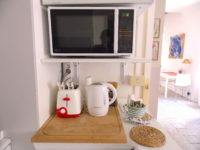 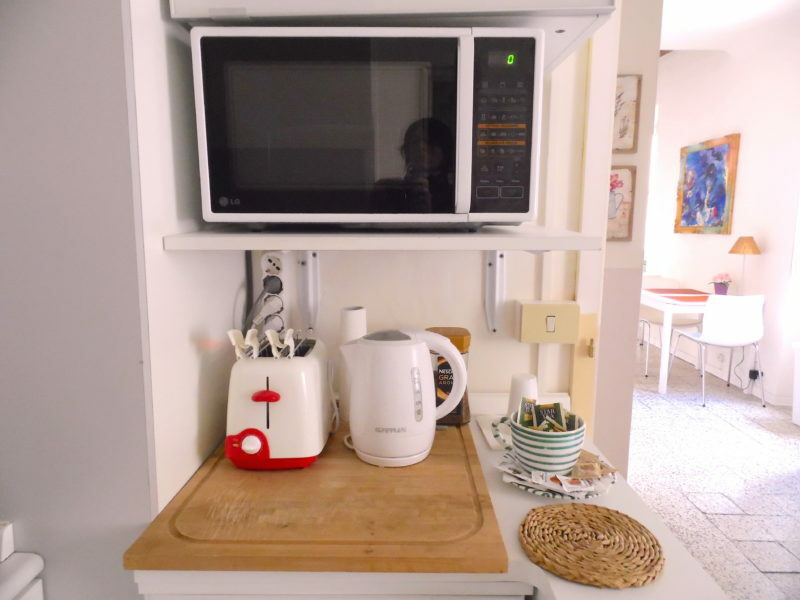 The kitchenette provides 2 fridges, a microwave and laundry with washer and dryer. 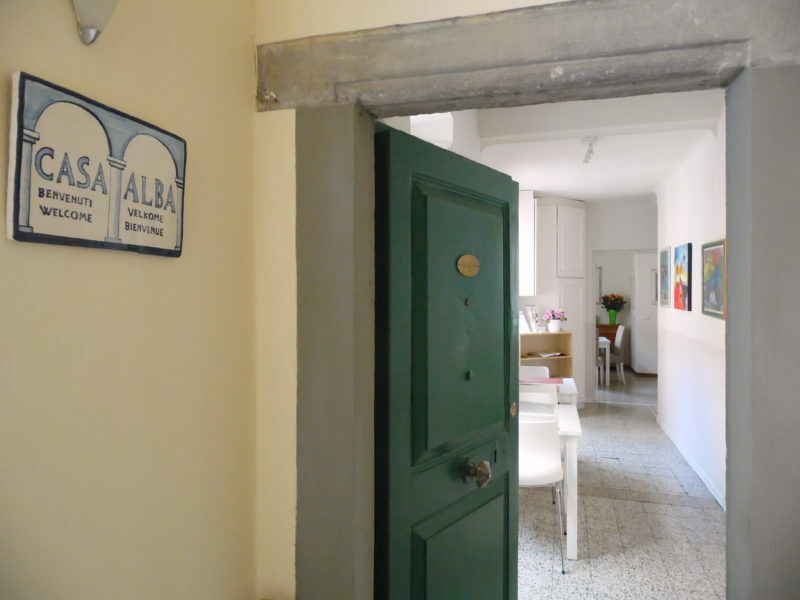 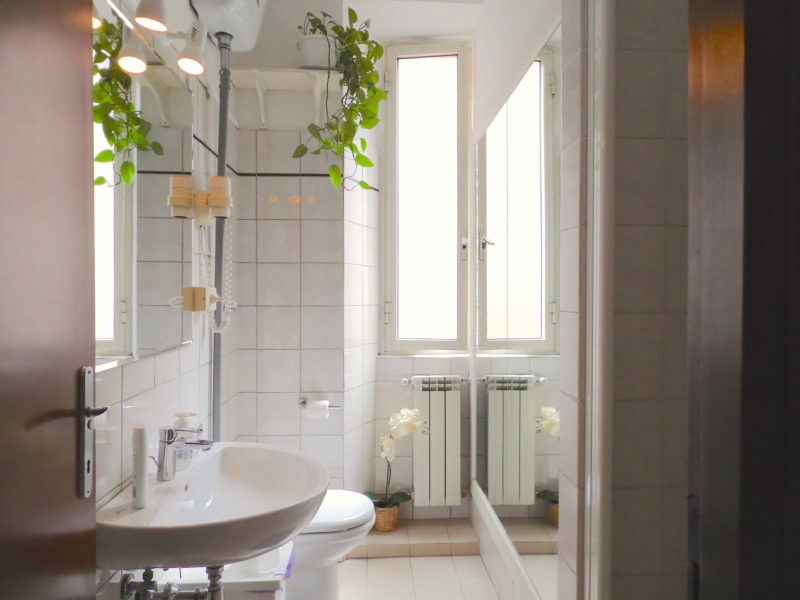 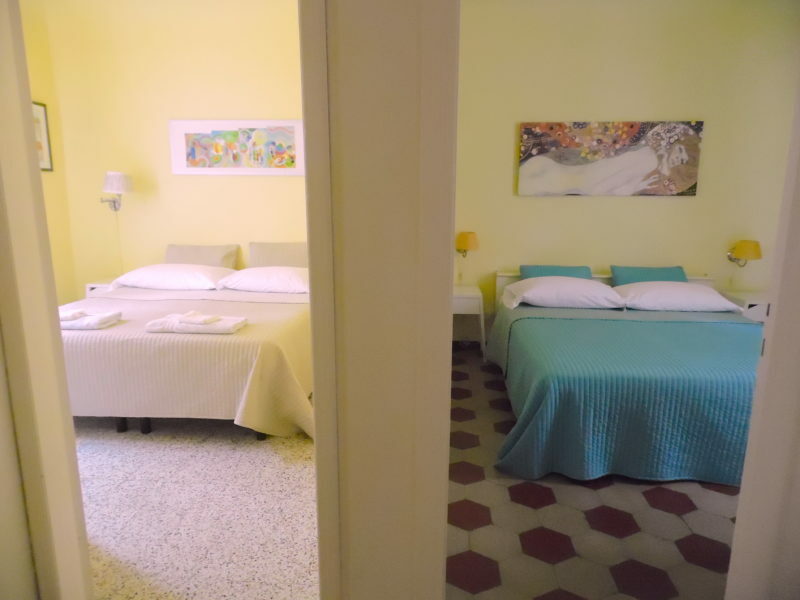 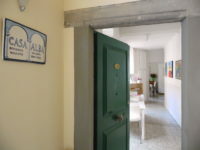 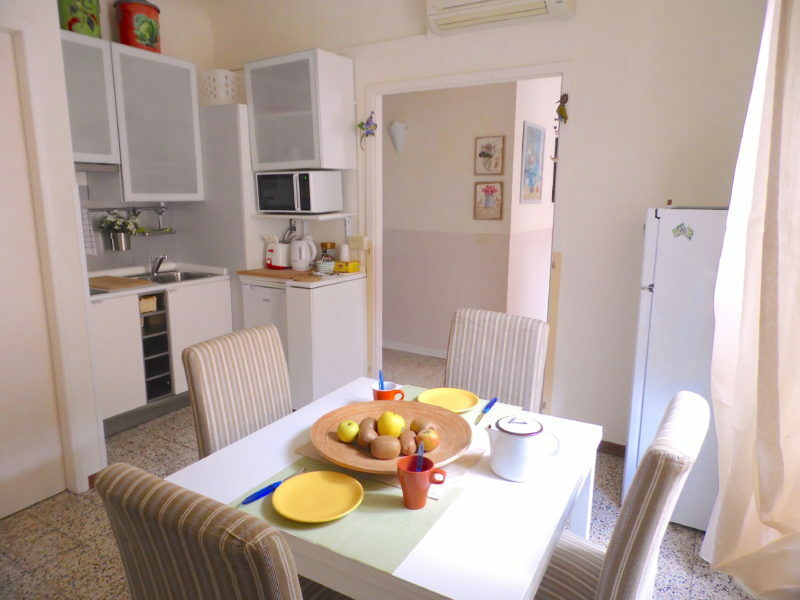 Casa Alba is a bright and airy apartment with quiet bedrooms facing an internal courtyard. 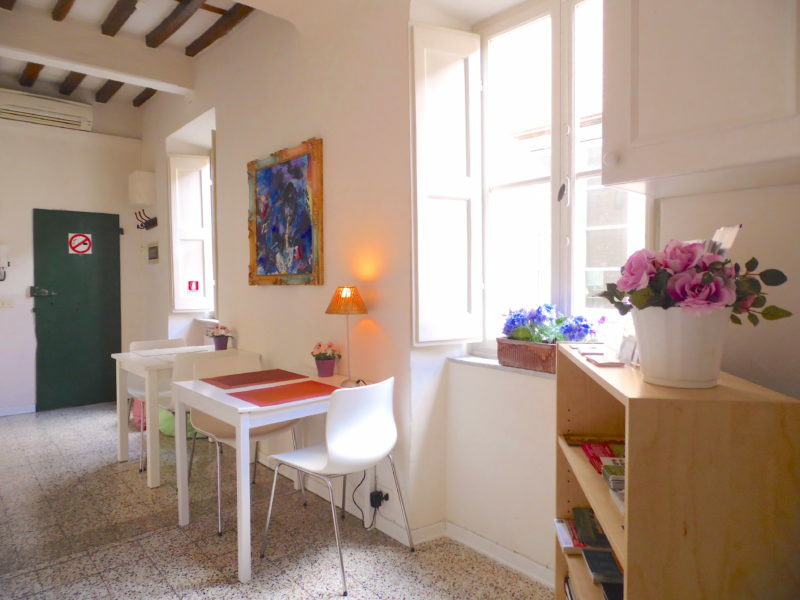 Suitable for large families or group of friends wanting to discover the city of Lucca by foot. 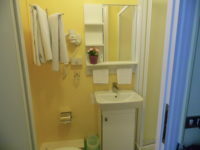 Amenities: A/C in every room, Sat TV, Wifi, washing machine, dryer, baby cot, iron, iron board, kettle, toaster, microwave, highchair. 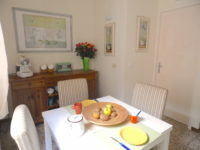 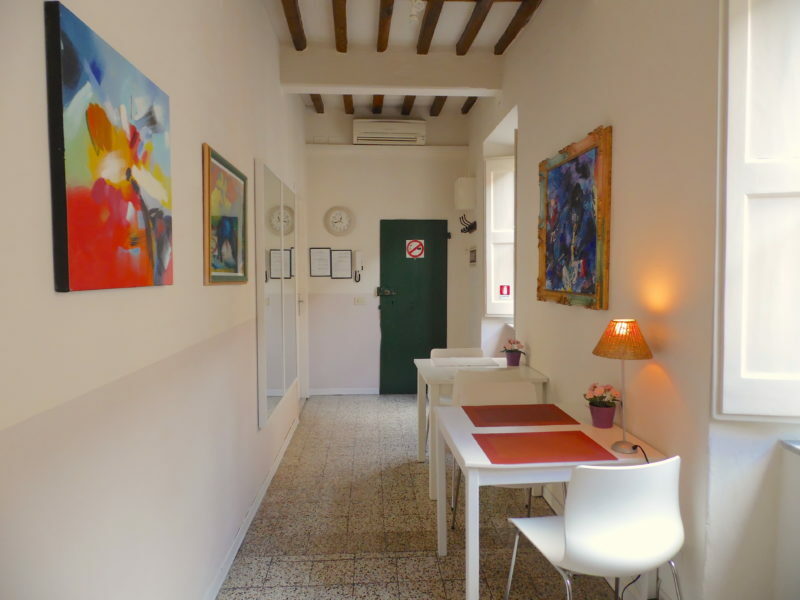 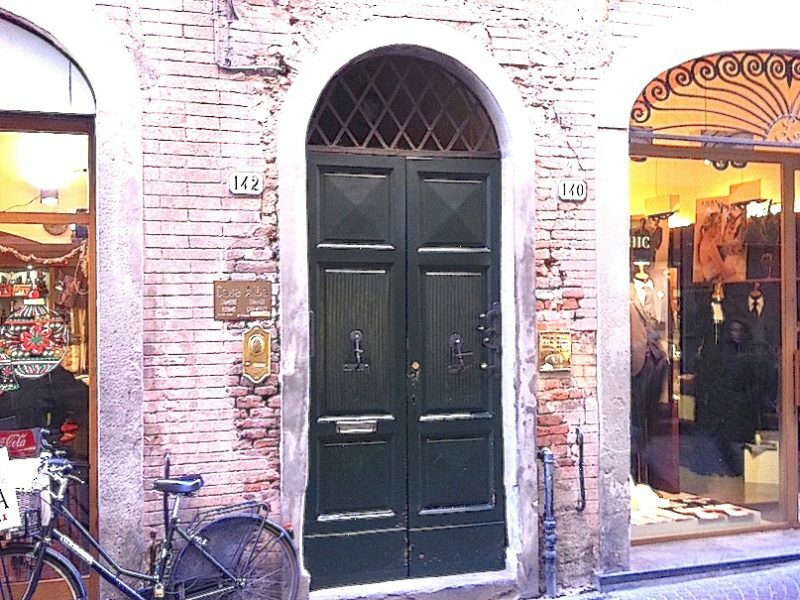 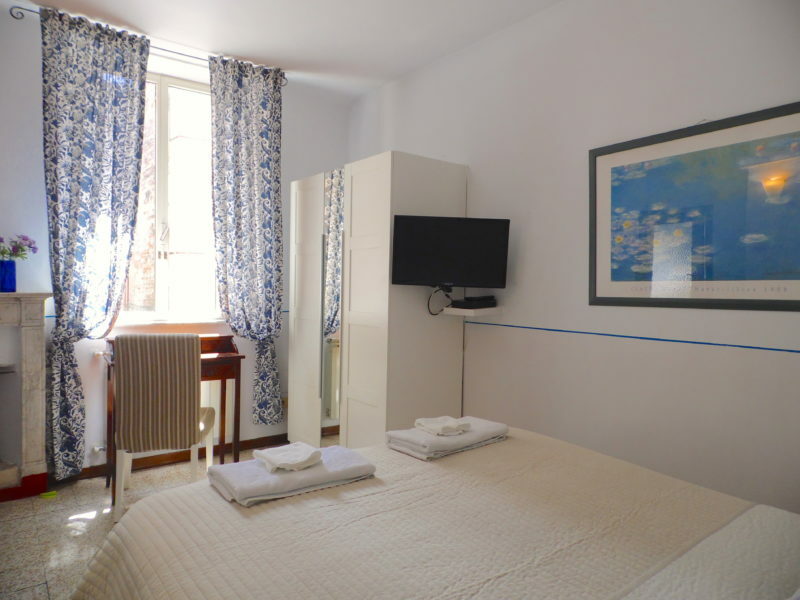 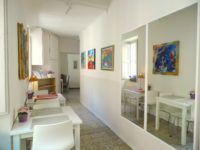 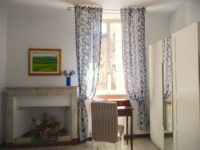 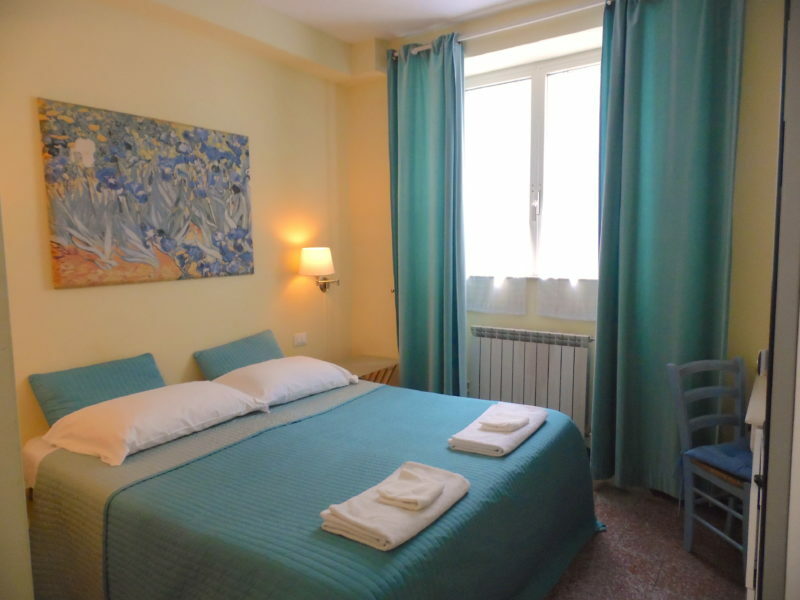 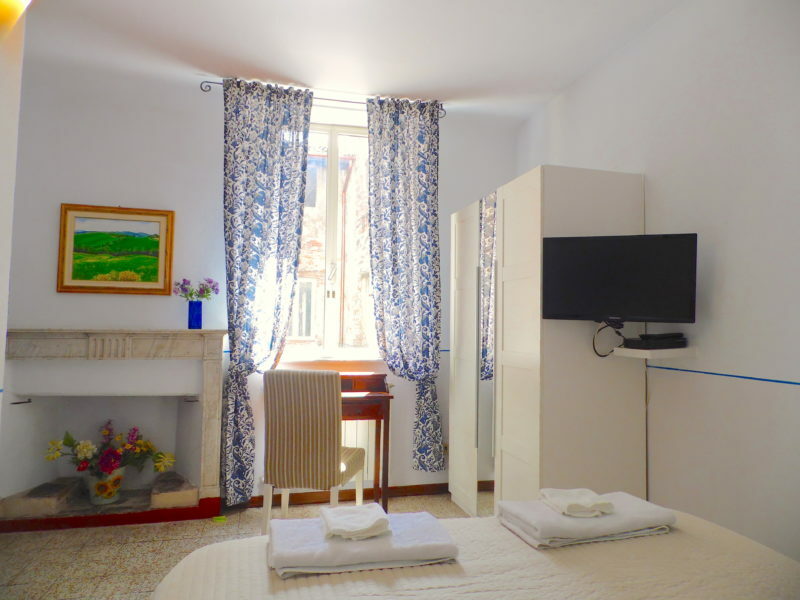 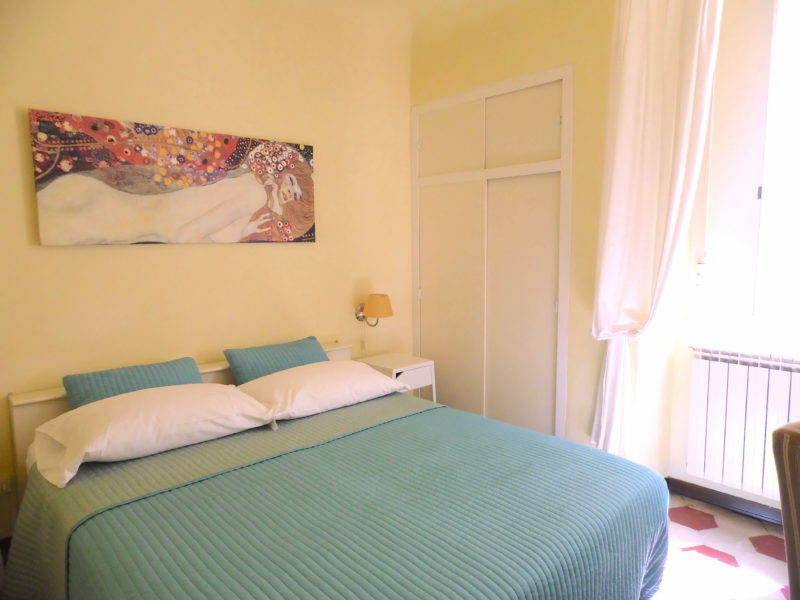 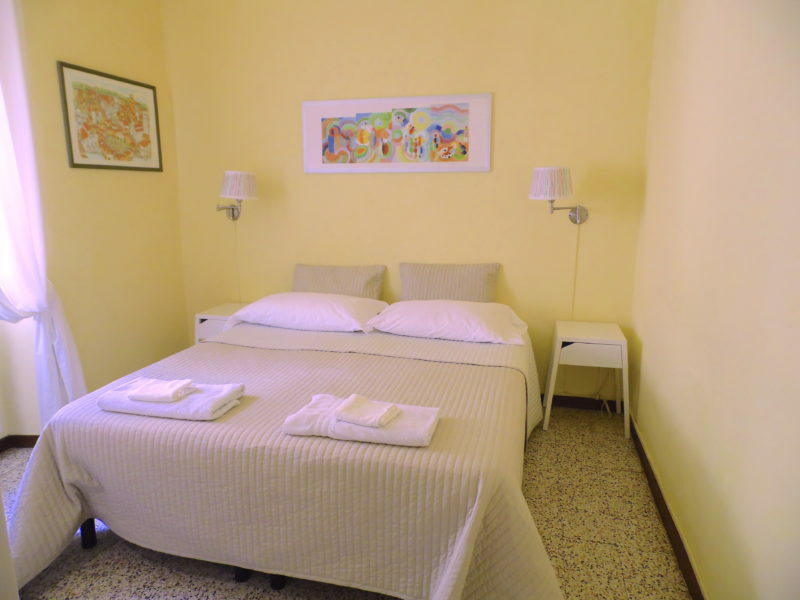 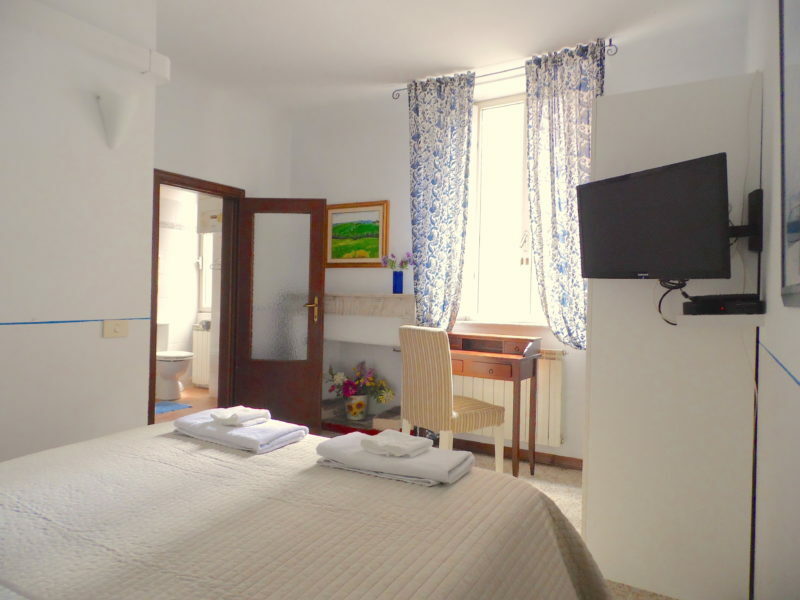 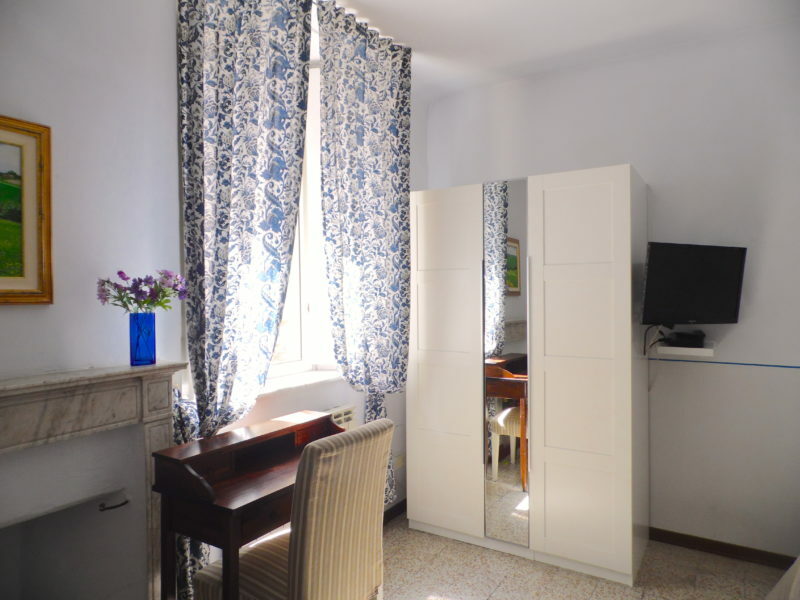 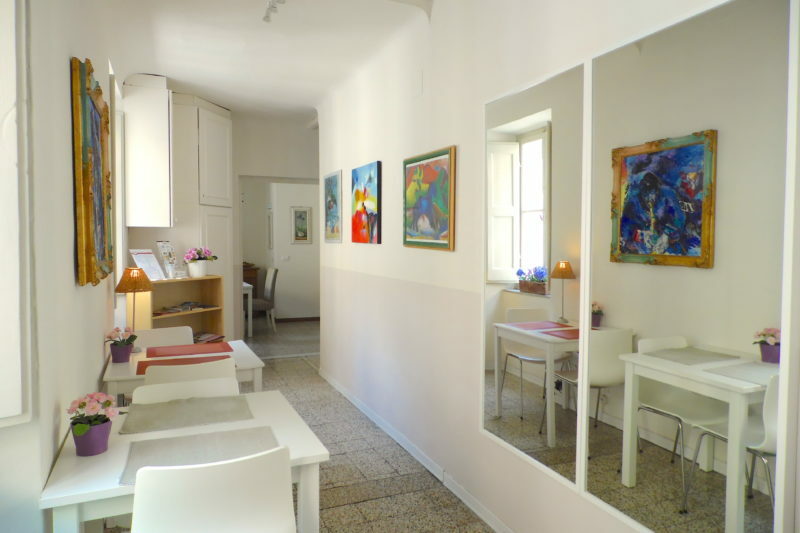 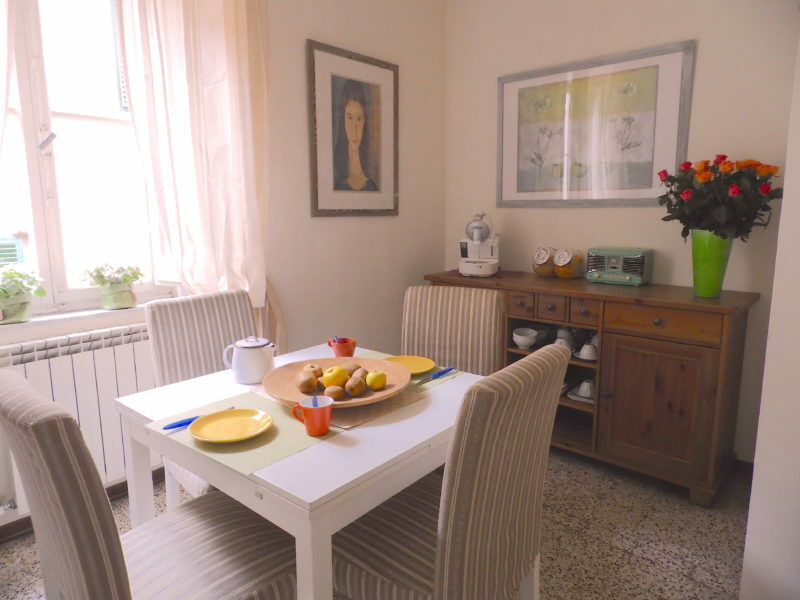 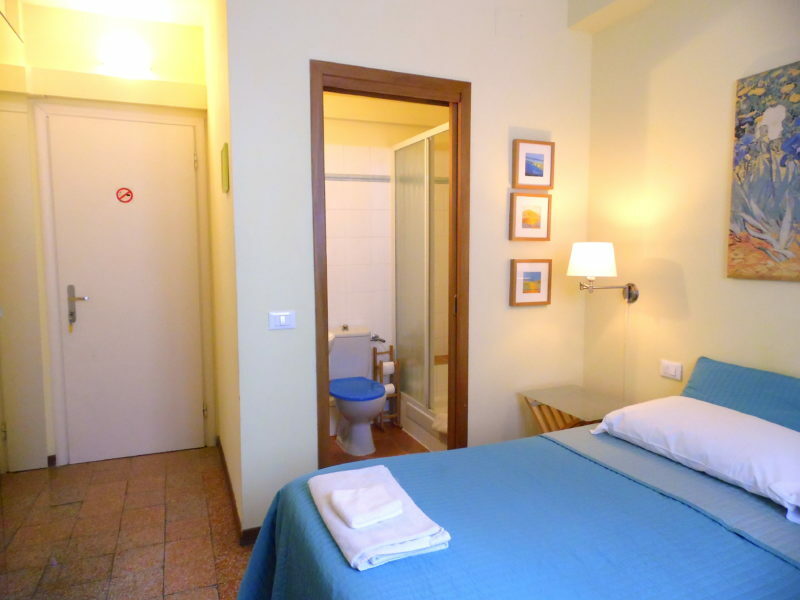 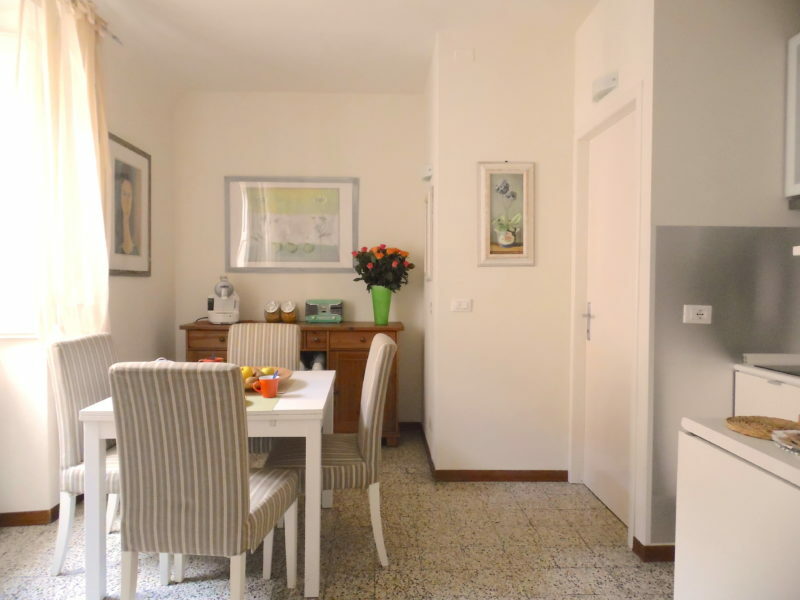 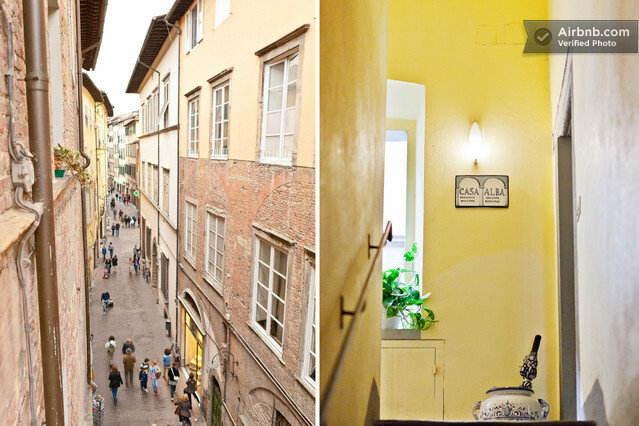 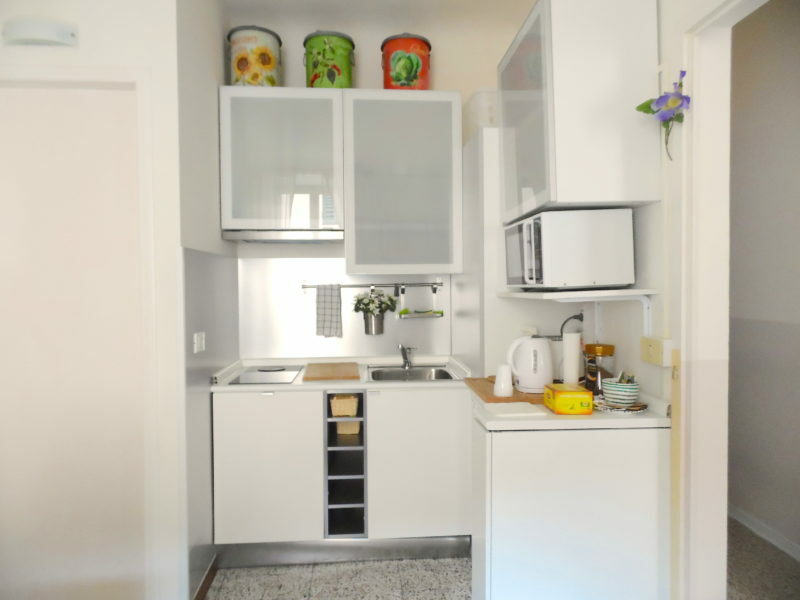 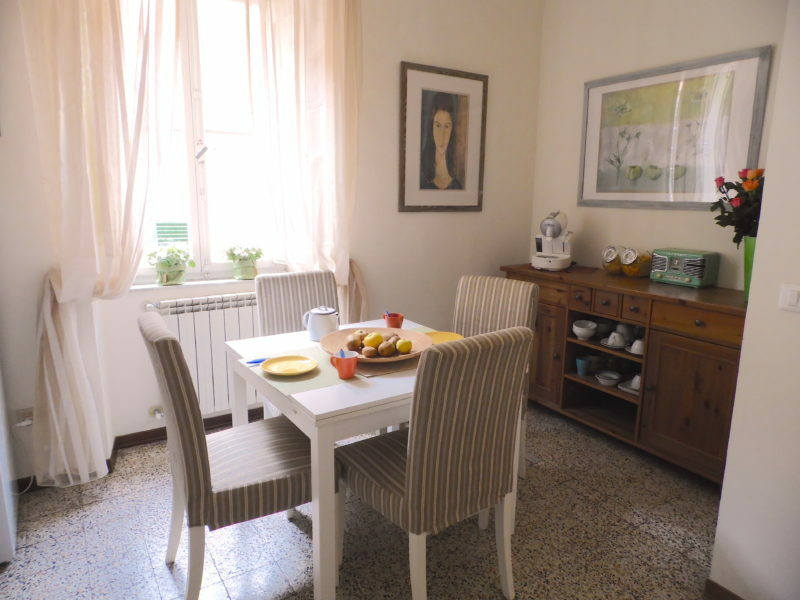 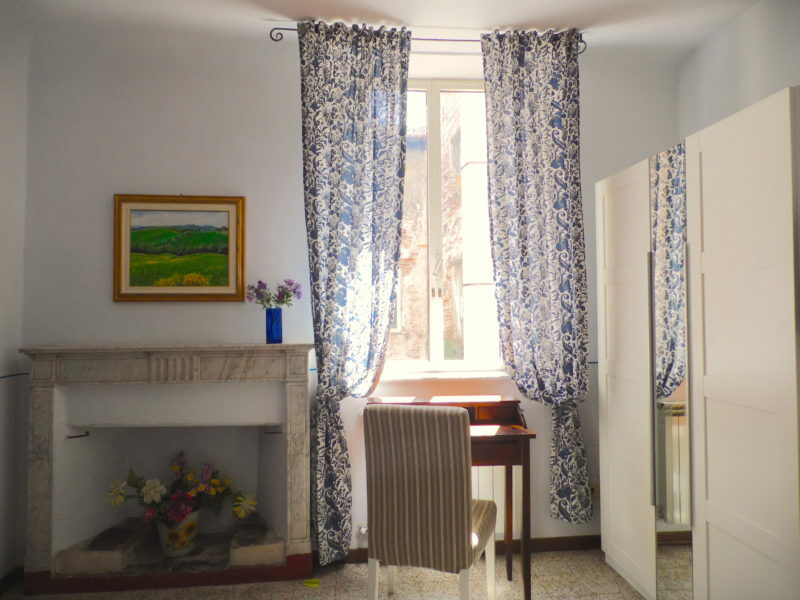 Casa Alba is situated in Via Fillungo, the main pedestrian shopping street of Lucca. 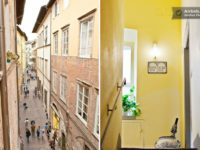 Right on the corner you will find Piazza S. Frediano and Piazza Anfiteatro. 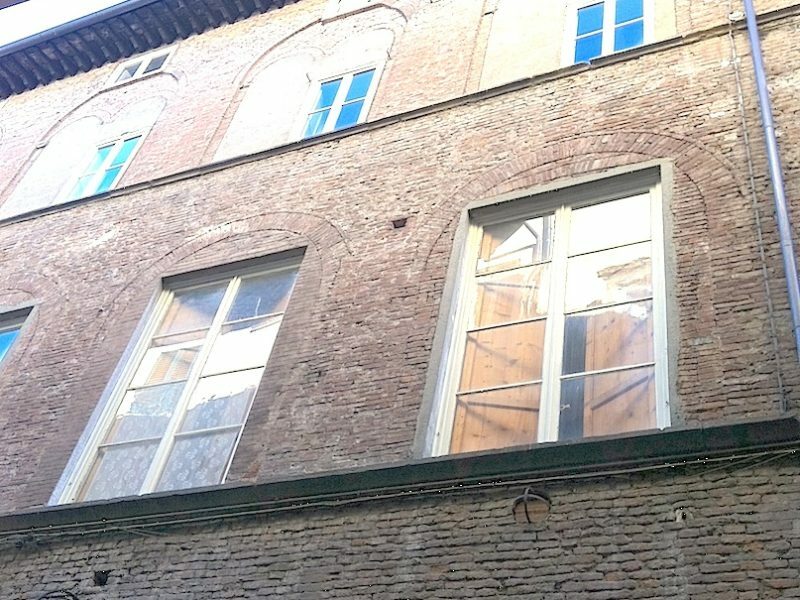 This is the most interesting and lively part of the city. 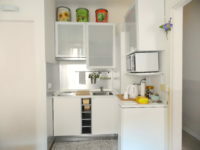 Restaurants and bars, pizzerias and quality shops are just a few steps away. 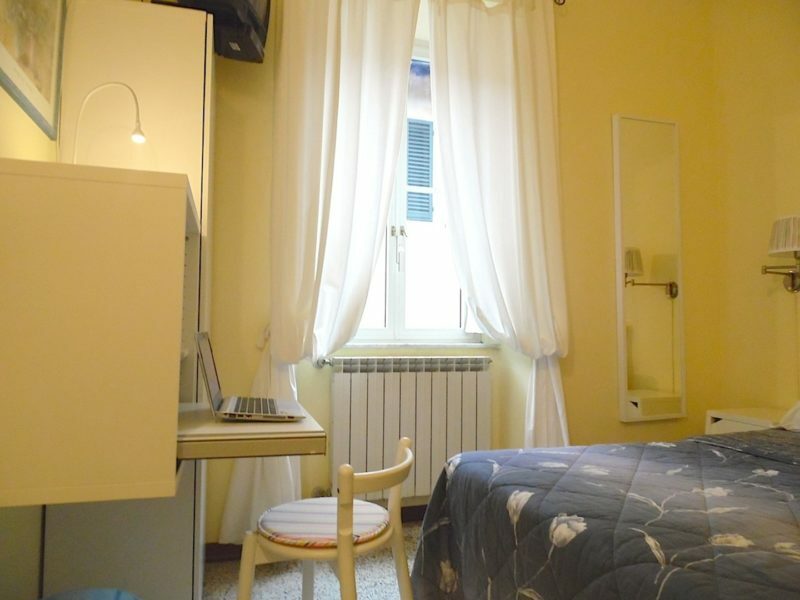 Parking is to be found in Piazza S. Maria, or free parking in Piazzale Don Baroni, only 300m. outside Porta S. Maria. 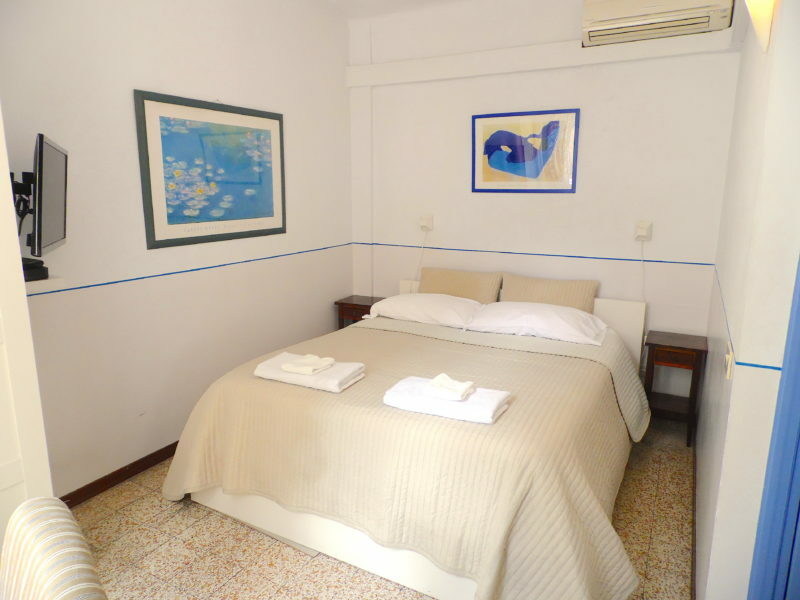 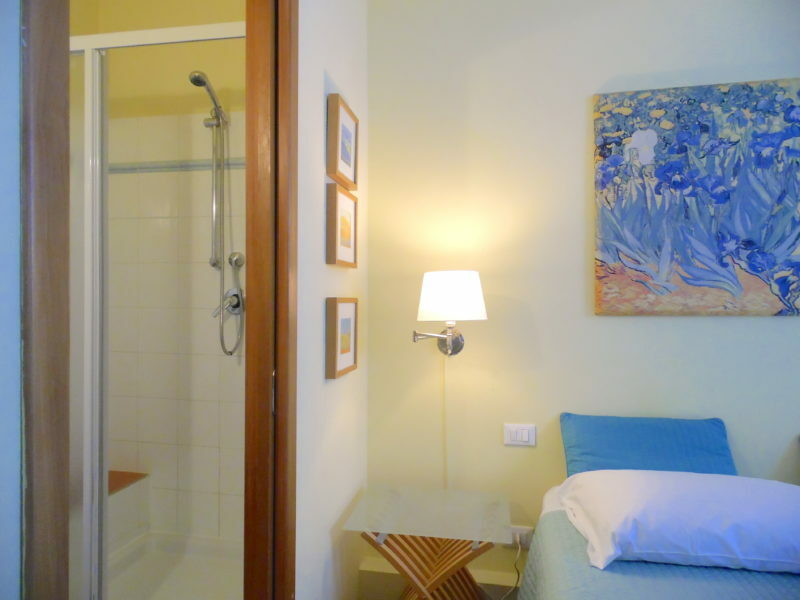 The above prices are including: change of linen and towels every 7 nights, utilities, Wi-fi, Air- conditioning, Sat TV.